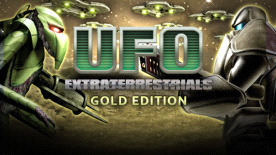 UFO: Extraterrestrials GOLD is a new GOLD edition which includes a number of changes and improvements giving a player a new look on the classic game: new maps, possibility to hire soldiers, globe UFO swarms and configurability. UFO: Extraterrestrials GOLD represents fiction in which the human race faces a threat from space, aimed to be a spiritual sequel developed by Chaos Concept. The game picks up where the original left off, incorporating a twist of the aliens defeating Earth. The game is set on a newly colonized planet named Esperanza, where the alien threat has just arrived.